US 64 no longer goes through Ft. 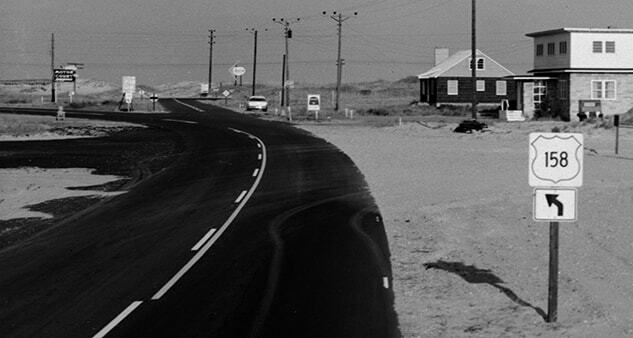 Landing -- that change occurred in 1951, when both the US 64 and US 264 designations were extended to Whalebone. US 64 traffic was directed onto a new road along the south side of the Little Alligator River (opposite from Ft. Landing). 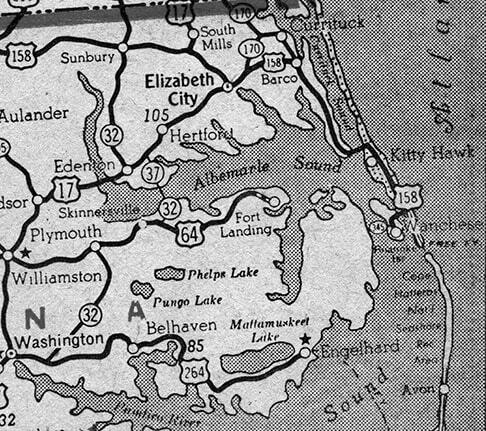 Initially there was neither a bridge across the main Alligator River, nor across Croatan Sound, so ferries were used at both crossings. Meanwhile, US 264 has been extended north from Engelhard, joining US 64 at Manns Harbor. 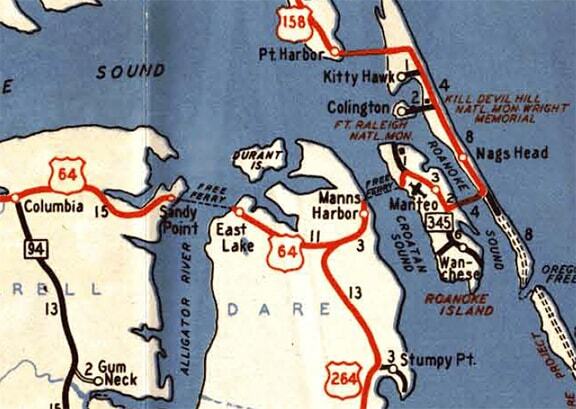 The two were twinned across Croatan Sound to Manteo, and then, running along former US 158, they continued to their new east terminus on the Outer Banks. US 158 was cut back to this junction, so for about 50 years, Whalebone served as a common terminus for three US highways: an unusual distinction. ​Today the 264 assembly has been removed. 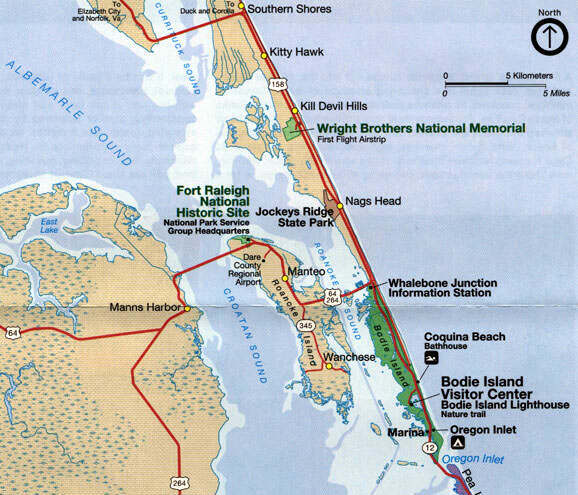 That segment of the road was once just US 158, until the first bridge was built across Croatan Sound. Then it was US 64-264, but now it carries only US 64.
last updated Jan. 7, 2017.